If you are interested in dental implants in Brookeland, Texas, we are ready to assist you. At Rayburn General Dentistry, we offer comprehensive dental care and services. This includes dental implants for holding your replacement tooth or bridge in place permanently. Learn more about the reasons why patients like dental implants instead of conventional dentures. Instead of spending time removing, soaking, and replacing your conventional dentures, implants are treated just like normal teeth. Brush, floss, and carry on with dental hygiene practices like usual. This also helps with your self-confidence by making it less visible that you have had dental work done. Plus, you save money on not having to purchase special solvents and glues to hold your dentures in place. Thanks to screws, dental implants are permanently affixed to your gumline. Speaking of your self-confidence, dental implants are useful for improving the structure of your facial contours. When you have missing teeth, this causes the gum tissue to lose its natural shape. As a result, you end up with an unbalanced jawline and misshapen smile, with dental implants, you bypass this and improve your smile by replacing the teeth. Besides, the implant helps to secure the structure of your gums. When you are wearing conventional dentures, you have to be careful about what you eat. However, when you are using dental implants, you can eat more foods with confidence. Hard and chewy foods are no longer off the menu. You can eat more variety of foods, which increases your nutritional intake. Get your health back naturally through a varied diet by opting for dental implants in place of dentures. To get started with general dentistry services at Rayburn General Dentistry, contact Rayburn General Dentistry. Our dentist Dr. Joshua Seale has been serving patients in Brookeland, Texas for over 14 years. Along with dental implants for adults, we also offer implants as part of our pediatric and geriatric dentistry. Call our office at 409-698-8800 for an appointment. Your smile plays a vital role in how you interact with other people. If you have cosmetic flaws that affect your smiles, such as tooth discoloration or a chipped tooth, this can have a negative impact on your self-esteem and even cause you to avoid other people. Cosmetic dentistry can enhance your smile and help you feel more confident overall. Find out more about a few standard procedures in cosmetic dentistry. Having teeth with discolorations or stains, such as from drinking coffee, can make you feel reluctant to show them when you smile. Teeth whitening can help restore your teeth to a whiter color and improve your smile. Dentists use whitening agents that can work quickly at minimizing the appearance of stains or discolorations on teeth. You can have this done at the office or use take-home whitening trays that you wear on your own to brighten your teeth. Keep in mind that you might need more whitening sessions for deeper stains. When you have minor chips or cracks in your teeth, dental veneers can help cover these flaws up. Veneers are coverings that go over your teeth to hide imperfections, such as gaps between teeth, cracks and chips, overlapping teeth, crooked teeth, and severe discolorations. Bonding involves using white fillings on teeth to hide certain kinds of flaws, such as minor discolorations, gaps, teeth that are misshapen and exposed roots. Veneers are typically used as a long-term solution to cosmetic flaws compared to bonding. Tooth decay or tooth damage can affect your smile. When this decay or damage isn’t severe enough to require extraction, you can have dental crowns placed on the affected teeth. Dental crowns are caps that cover teeth in order to protect them from infections and other complications. They can help you chew better by restoring normal function to damaged or decayed teeth. Since these crowns are made to look natural, they also help improve your smile. If you’re interested in cosmetic dentistry in Brookeland to improve your smile, please contact Rayburn General Dentistry for an appointment. Cosmetic dentistry involves professional oral care that is meant to improve the appearance of your teeth, mouth, and smile. Today, modern dentistry presents patients with several options when they are looking to restore a smile. Here are five types of cosmetic dentistry. Also known as indirect fillings, inlays and onlays are used to fill damaged or decayed teeth. Unlike dental fillings, inlays and onlays are made in a dental laboratory before being molded into place during a visit to the dentist. Inlays are placed directly on the surface of the tooth if the cusps are still intact. On the other hand, onlays are used when a significant part of the tooth is damaged. Teeth Whitening is one of the simplest and most common procedures in cosmetic dentistry. The process is designed to restore the natural appearance of discolored or stained teeth by cleaning tartar, plaque and other debris that could be on the surface of the patient’s teeth. Veneers are made to resemble a patient’s natural teeth, thin and custom-made shells that help to correct crooked teeth, gaps between teeth as well as cracked or damaged enamel. Veneers can also change the size, shape, and color of your teeth. The dentist will use a dental adhesive before applying veneers to the front of the teeth. Dental implants are titanium replacements for missing teeth. A screw is surgically inserted into the jawbone at the site of the missing tooth to serve as support for a crown or artificial tooth. An implant is permanent and cannot be distinguished from the surrounding natural teeth once the surrounding tissue heals and fuses to it. In case a tooth is chipped, broken or badly stained, this procedure can be used to improve its appearance. With composite bonding, a material that resembles the color of your teeth will be applied onto the surface of the tooth before it is cured using high-intensity light. Some of the other options that your dentist may recommend are dental crowns, teeth shaping and orthodontic treatment. Since it is crucial for patients to be educated in the various treatment options, Rayburn General Dentistry will ensure an open discussion between the patient and doctor for more satisfying results. Our Jasper Dentist is Here to Answer Your Questions! The team at Rayburn General Dentistry is committed to helping you feel as relaxed as possible when at our clinic, but we know it’s easy to forget questions you have for our Jasper dentist. To prepare yourself for your next dental exam, come with a list of questions. We’re listing some to get you started. How is my dental health overall? After thoroughly evaluating your teeth and gums, our dentist in Brookeland can explain his general findings and let you know if you have any early warning signs of dental disease. Does it look like I grind my teeth? Many of us grind our teeth as we sleep. Your dentist can look for signs and offer tools and tips to prevent it. What sort of dental products should I use at home? We make recommendations on the tools and techniques you should be using regularly. How can I improve teeth whiteness? Over-the-counter whitening products often make teeth sensitive. 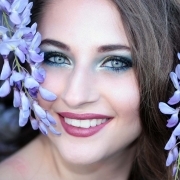 Our dentist can give you quality teeth whitening servicesand tips. Dr. Seale will explain the indications for X-rays and any other diagnostic or therapeutic services he recommends. Other than brushing my teeth, how can I improve my oral health? Dr. Seale typically recommends things like smoking cessation and a balanced diet. How often should I come in for a dental exam? This is usually based on your specific oral health needs and risk factors. Tooth sensitivity is usually related to weakened enamel. We have various ways to manage this frustrating dental condition. Do you recommend any follow-up procedures? We offer a wide range of services in our clean and state-of-the-art clinic! When should I bring my child in for a pediatric dental exam? We offer plenty of guidelines to help parents make informed choices about their children’s oral health. Preparing for a Dental Exam? If you live in the Jasper TX area, contact Rayburn General Dentistry now at 409-698-8800 to schedule an appointment with our Brookeland dentist. If you haven’t been to the dentist in a while, now is a great time to schedule an appointment to make sure your teeth and gums are healthy. Regular dental appointments help ensure that you do not have any signs of gingivitis or periodontal disease, and they check for potential problems with the head, neck, face and lymph nodes. Keeping your teeth and gums healthy is essential for your oral health and your overall health. Gum disease has been linked to other chronic diseases, like high blood pressure, and if you already have a chronic disease, like diabetes or an inflammatory disease, you may be at an increased risk for developing gingivitis and periodontal disease. Plaque and tartar can lead to gum disease if they are left on your teeth and gums, and brushing and flossing may not be enough. At-home dental hygiene products are designed to reach about 3mm below the gum line. If plaque or tartar move deeper than 3mm, you won’t be able to remove it at home. Regular dental cleanings with our dentist in Brookland help ensure that all of the plaque and tartar are removed from your teeth and gums, which reduces your chance of developing gum disease. Oral examinations can help find signs of gum disease before it starts severely impacting your oral health. 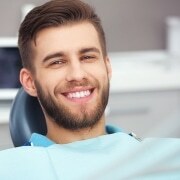 Dentists are trained to look for swollen, red gums and gums that are receding, which indicates the presence of gum disease, including gingivitis and periodontal disease so that it can be treated promptly with a deep cleaning and potentially antibiotic rinses in order to clear any gum infections. During your dental appointment, our dentist in Brookland also checks for face, neck and lymph nodes for signs of problems. If our dentist does find an abnormality, we may recommend following up with your family physician so that you can be examined for any potential health problems. To schedule your yearly dental examination in Brookland, TX, call us at 409-698-8800.